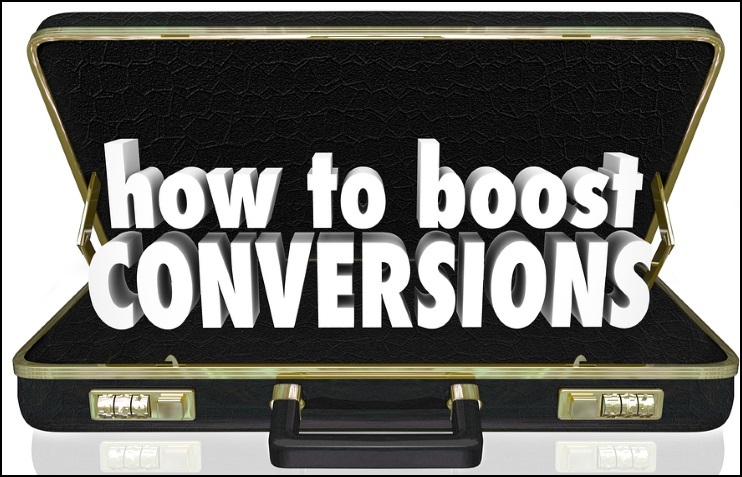 The term “conversion rate” refers to the time when a visitor on your website undertakes the action that you desire. The end action differs depending on what your organisation has set the conversion rate goal to be. For example, your goal may be to direct traffic towards an online purchase, gain members on your site, increase newsletter subscriptions or even download an application. There are many ways to optimise your conversion rate on-site, such as looking into optimising landing pages, making the user experience fluent or ensuring every page has a clear call to action. A great piece of content to read on optimising your on-site conversion rates is available on Qualaroo.com. One aspect of improving conversion rates that is sometimes ignored or disregarded, is how powerful social media can be when it comes to reaching your end goal. Social media can have a huge impact on not only your brand, but also the amount of traffic to your site and your end conversion rates. Social media is generally thought of as either a straight sales generator or a popularity contest. The correct mind-set however, is to look into how social media can bridge the gap between the brand and its potential customers, if this is done correctly, the sales and popularity will come naturally. In the mind of the consumer, having the confidence to make the desired action isn’t always a fluent step by step process. Frequently visitors may land on a site, browse for a bit, then leave the site for referrals or to research into competitors. The reasoning behind this is that they aren’t confident enough with either the product you are offering or in the brand itself. Our first tip in utilising your social media is to gain the confidence of the consumer by posting visual content. It is not uncommon for a customer to have questions about a product or service offering that leaves them wary of a purchase. In this case, optimising visual content on platforms such as Instagram, Pinterest, or even Facebook can quickly put to rest any queries or uncertainty a customer may have. Demonstrating quick and simple solutions via images or videos of products not only reassures the customers, but also entices them further to purchase the product, meaning they are much more likely to click through to your site and head straight for the end conversion. Advanced Auto Parts are a prime example of a company demonstrating this form of social media marketing. This car parts retailer has seen success through posting instructional videos through their own site and on Facebook. According to Kiss Metrics, visitors who watched the video stayed on site twice as long and visited twice as many pages. One of the most important areas of modern digital marketing is all about generating compelling content that will interest the reader, as well as veer them toward your set conversion goal. User generated content is an increasingly popular method of enabling your customers to do the promotion for you. By setting up Instagram feeds, Pinterest accounts or any form of social media, then allowing the users themselves to post content regarding your products, you are gaining free publicity, as well as increasing your “social proof” as customers can see other consumers using your products. Once this content is in place it is important to utilise it as best as possible and direct consumers to your site using a relevant link. Stay away from heavy self-promotion, but include links to specific products that customers have posted about. For example, if a customer has posted a picture of themselves using a new blender you have recently launched, then add a link to the blender on your site providing an easy way for other potential customers to find it. A good example of UGC is the Coolatta social media campaign. Dunkin Donuts developed a successful social campaign comprised of user generated content. The campaign for Coolatta asked Facebook fans to purchase the new drink and upload a picture onto Facebook in the hopes of winning a daily giveaway, resulting in an increased fan base and exposure. One great way to improve conversions is through social media engagement. This may not be as obvious as providing a call to action link in an optimal place, but most of the time it takes a bit of work to increase conversion rates. Not only does this method increase brand awareness, but it also helps to build relationships with your consumers, thus building up their confidence and trust in your brand. As well as this, by commenting and retweeting posts you are gaining first hand exposure to all of their online communities, further increasing your reach. A great piece of software to use when managing your social media is Hootsuite.com. Innocent drinks are well known for the work they put on on social media feeds and the amount they engage with their consumers. Wave.com provides an interesting article regarding how innocent drinks engages with their consumers on twitter. Now that you have the attention of your social audience, this is an optimal time to convert them from social media channels onto your website. A perfect way to do this is through the use of blogs. If you can create a compelling piece of content on your blog and distribute it through social channels, then you have a great way to drive traffic from social media onto your website. Getting retweets or shares is a fantastic way to increase exposure too! Once that traffic is converted to your webpage, the ball is now in your court. You control every aspect of your site, so make sure you know exactly what you want your end conversion to be, and direct the visitors accordingly.